This BLT deviled eggs recipe started the way so many do in my kitchen: I was sick of eating the same old same old, began grabbing a handful of this and that from the fridge, tossed it all together, and voila. I’ll admit, this can be a real hit or miss approach to cooking, but sometimes this method results in surprisingly delicious food! I’m happy to report that the stars all aligned that day and my haphazard concoction came together seamlessly. The BLT deviled eggs were born, and the recipe has been a massive hit in my house ever since. 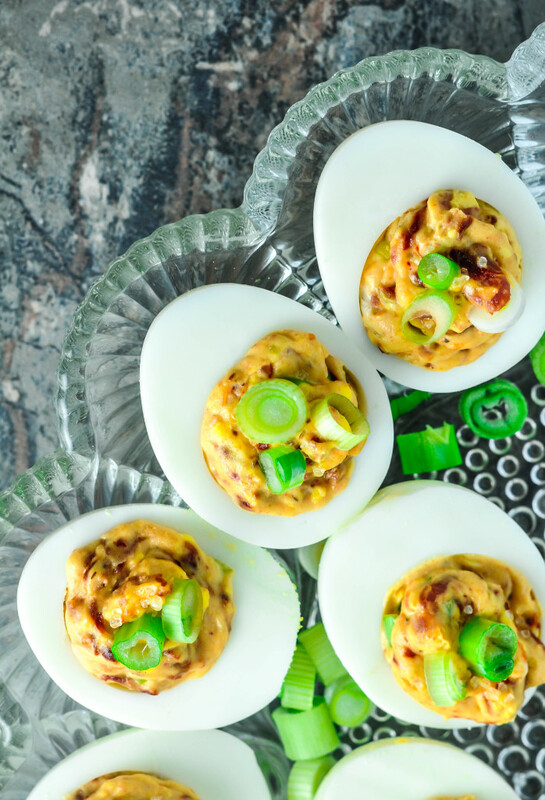 Bacon, green onion, and sun-dried tomato make up the BLT trinity in this BLT deviled eggs recipe. It’s incredible how well these three ingredients complement each other, giving the traditional deviled egg a serious run for its money. Just a fair warning: the unexpected burst of flavor from the bacon and sun-dried tomatoes is addictive. 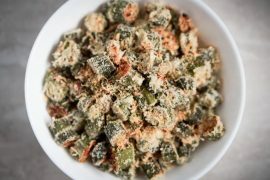 Whenever I whip these up, everyone in my house rushes the platter, and within minutes they are gone! If you are bringing them to a party, be sure to show up with a big batch because they will disappear quickly! If you need to make a shopping trip for the sun-dried tomatoes, definitely go with the ones packed in oil versus the dried options. The plain, dehydrated variety tends to be bitter and requires a hydration period to develop full flavor. You can just skip all that and grab the oily ones instead – they taste better and are less work! I’ve always got hardboiled eggs, bacon, and a variety of other staples pre-cooked and stored in the fridge. 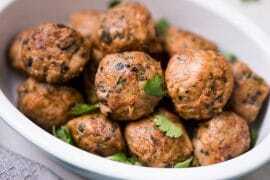 They are fantastic snacks for a low carb dieter and easy to prepare in large batches. Tasty by themselves, eggs and bacon contain the perfect macros and can be used in an endless array of dishes. I use bacon and boiled eggs in so much of my cooking that it saves me a ton of time by routinely prepping these ingredients and having them handy for whenever’s clever. 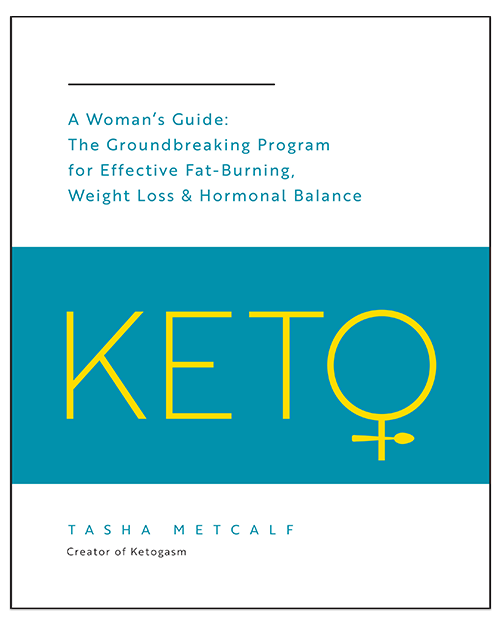 If you are on a low carb keto diet, or even just short on time, I highly recommend identifying your staples and prepping them ahead of time! Good luck on your journey! 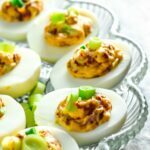 If you like this twist on traditional deviled eggs, be sure to check out my bacon cheddar deviled eggs as well! 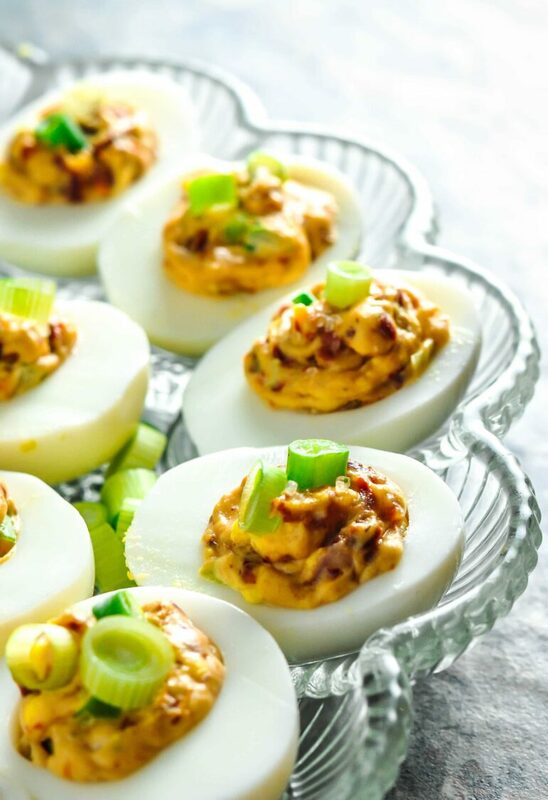 A unique twist on a popular classic, these BLT deviled eggs are sure to please. 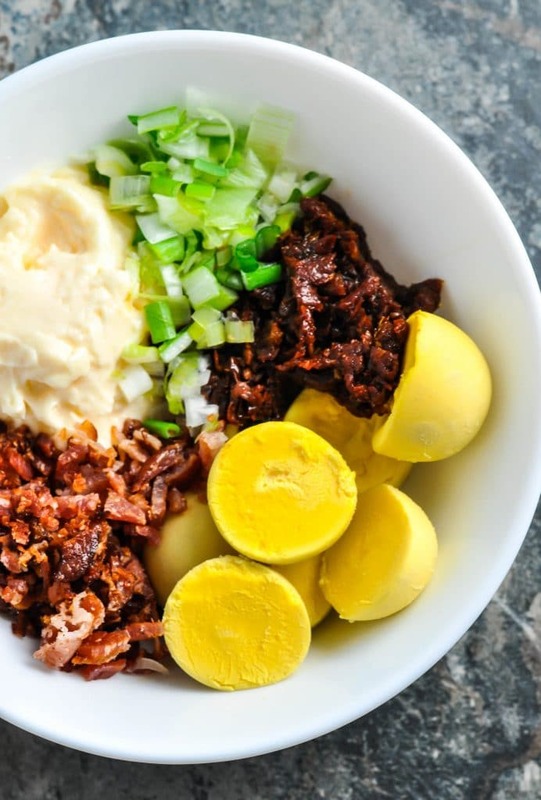 Pulverize the yolk and mix in the remaining ingredients: bacon, mayonnaise, sun-dried tomatoes, and most of the green onion. Save a small amount of the green onion for garnish. Stir until the the mixture appears smooth and ingredients are evenly distributed. 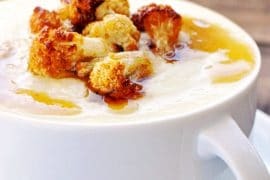 Fill the wells of the egg whites with the yolk mixture. You can spoon the yolk mixture into the wells, but I prefer to use a piping bag to evenly disperse the mixture. I find it easier and more aesthetically pleasing. 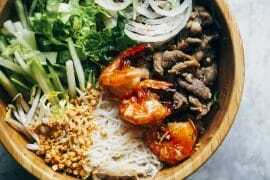 Garnish with the remaining green onion and arrange on a serving platter or storage container. 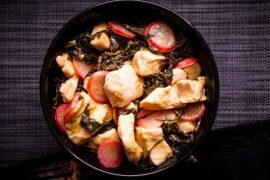 Tasha, I’m a fan of your blog and I’m really digging this recipe. I’m tired of the same old same old, too and I can’t wait to try your ingredient combination! Pinned! Oh my gosh. I can’t wait to try these! 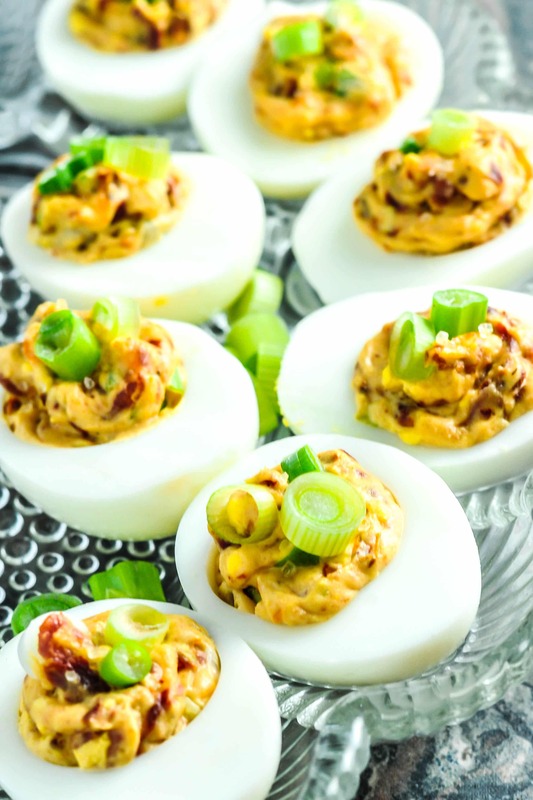 I’m not a hard boiled/deviled fan so I’m not 100% sure how I found your blog but this sounds HEAVENLY!! !